The building behind the fence on the right was the local heating shop for a long time. It was demolished several years ago, and flats now stand on the site. The building on the left is now the village police station. 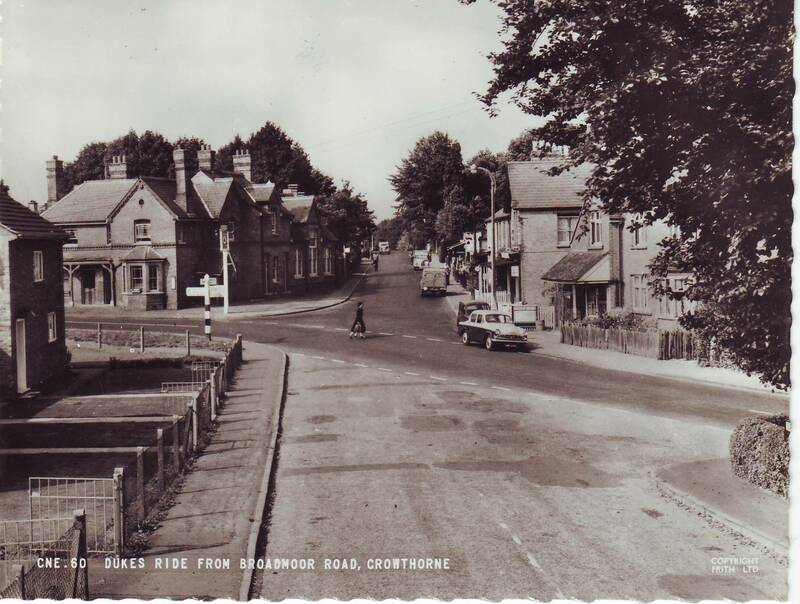 The road junction has a mini roundabout now, and the fingerpost is long gone.